If you’re one of the many women and men in Plymouth, Minnesota, or the surrounding areas of Minneapolis, St. Paul, and western Wisconsin who suffer from restless leg syndrome, you know that this condition is more than just an inconvenience: Restless leg syndrome can disrupt your sleep and make normal routines nearly impossible. 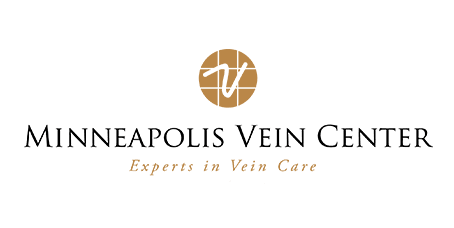 It’s also a common complaint that brings patients to Minneapolis Vein Center, where relief is available through innovative treatment approaches. To begin your path away from the discomfort and strain of restless leg syndrome, schedule an appointment online or contact the office by phone. Restless leg syndrome is a condition characterized by uncomfortable leg sensations and an irresistible urge to move your legs. Some women and men experience only mild symptoms, whereas others find restless leg syndrome nearly unbearable. Symptoms often occur during the latter portion of the day or evening. They’re usually the most noticeable when you’re at rest. Many women and men don’t notice symptoms while they’re moving, but once they sit or lie down in bed the sensations return. Moving your legs may bring temporary relief, but once that movement stops, the sensations return. You might find that this cycle leads to significant stress and anxiety that becomes an issue in and of itself. Sleep deprivation can aggravate restless leg syndrome. Ironically, restless leg syndrome often causes sleep deprivation, bringing about a relentless cycle. What are the treatment options for restless leg syndrome? Treatment depends on your overall health and the factors that might be causing your restless leg syndrome. The first step involves a thorough diagnostic workup, including a review of your health history. In some cases, iron supplements can reduce restless leg syndrome symptoms. Lifestyle modification can also help, including avoiding alcohol and tobacco, improving sleep quality, and targeted exercises. Certain medications help manage restless leg syndrome, including anti-seizure drugs, dopaminergic agents, opioids, and benzodiazepines. Medications carry the risk of side effects, and your Vein Center provider discusses all the available treatment paths with you to ensure you can make an informed decision. When you’re ready to get serious about finding restless leg syndrome relief, schedule an appointment with Minneapolis Vein Center.